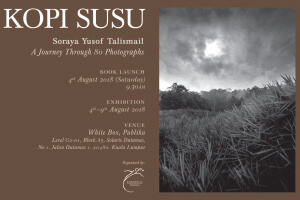 This week, White [email protected] hosts Kopi Susu, A Journey Through 80 Photographs, an art exhibition by Soraya Yusof Talismail. The exhibition will feature 80 silver gelatin prints, available for purchase at RM5,000 each. Furthermore, you can find free-hanging images on acrylic panels as well as large wall prints there. Kopi Susu — supported by Khazanah Nasional Bhd — will be held at White Box, MAPKL, Publika Dutamas, Kuala Lumpur, and runs from tomorrow until Thursday, from 10am to 7pm, daily. Call (03) 6207 9732 for more information. Most people’s weekend outings are unintentionally standardised, with meals being had at the same five restaurants, in the same two malls, at the same time, every week. 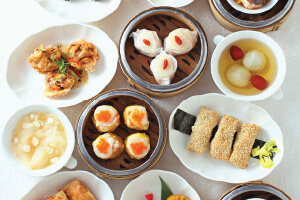 If you are looking to offer your palette some fresh new flavours, head on over to Shang [email protected] Hotel for Dim Sum Delights, an all-you-can-eat offering with more than 40 versions of steamed, baked or deep-fried dim sum to choose from. Delve into this scrumptious meal today or tomorrow at noon, at Shang [email protected] Hotel, Jalan Sultan Ismail, Kuala Lumpur. Call (03) 2074 3904 for more information. This year, The St Regis is hosting Afternoon Tea, which offers a magnificent array of tea-time snacks to nibble on. Running until Dec 30, Afternoon Tea is held at The Drawing Room at The St Regis, which flaunts both a five-tier chandelier, as well as a horse statue made by Fernando Botero, a reputable sculptor from Columbia. To enjoy the scrumptious treats on offer, head on over to The Drawing Room at The St Regis, No 6, Jalan Stesen Sentral 2, Kuala Lumpur. 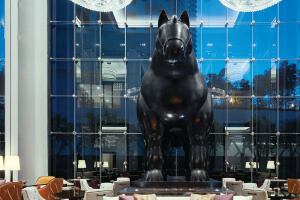 Call (03) 2727 6660 or logon to stregiskualalumpur.com for more information or to make a reservation. 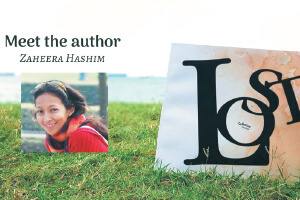 Zaheera Hashim is an artist and a writer based in Singapore. She writes and illustrates in her spare time — and the combination of these complementary skills means she was able to create Lost, her first graphic novella. Lost is the sorrowful tale of a broken family — when Alif leaves home without any intention of returning, his brother and mother struggle to come to terms with what they have lost. Zaheera has come down to discuss the making of her graphic novella. The meet-and-greet begins today at 8pm at Lit Books, P-01-11 Tropicana Avenue, Tropicana Golf & Country Resort, Petaling Jaya. DIGiT — Get Ready to Funk! This weekend, No Black Tie presents DIGiT, a funk band comprising five Singapore artistes. Accompanied by the notable Erik Hargrove on the drums — who has played with none other than James Brown — DIGiT is keen on giving old school music a new edge, whilst keeping the vibe positive with an array of funk hits guaranteed to make you want to tap your feet. Attend this live, upbeat show either today or tomorrow at 10pm at No Black Tie, 17 Jalan Mesui, off Jalan Nagsari, Kuala Lumpur. Visit noblacktie.com to book tickets. Drop by No Black Tie on Sunday to watch Karen Nunis and The Blue Notes put on a spectacular, bluesy-jazz performance. 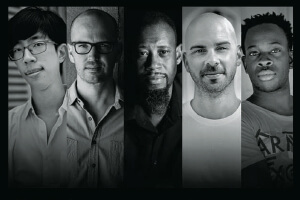 Covering the music of artistes such as Billie Holiday and Sarah Vaughan, Nunis is guaranteed to exude talent with her long-lived, international experience in the music industry. She has formed bands with whom she has performed in numerous countries, from Singapore to Japan to the US. 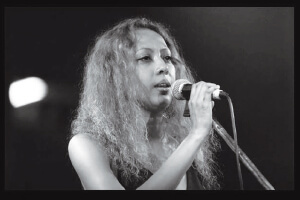 Catch her and The Blue Notes on Sunday at No Black Tie, 17 Jalan Mesui, off Jalan Nagsari, Kuala Lumpur. Visit noblacktie.com to book tickets. 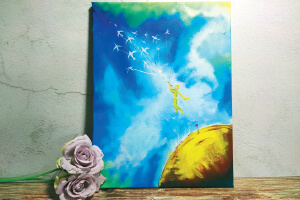 Bring along a loved one to wind down after a tough week at work to Sip & Paint: Le Petit Prince today at 8pm. Enjoy a fun filled experience involving wine, paint and the treasured classic by Antoine de Saint-Exupery. Tickets start at RM136 and can be purchased via the event’s Facebook page — they pay for a glass of wine, bottomless non-alcoholic drinks, a 30cm x 40cm canvas as well as all the art materials required to create a masterpiece. The event takes place at Art & Bonding, No.22-3, Jalan 25/70A, Desa Sri Hartamas, Kuala Lumpur. Call (010) 650 1212 for more information. 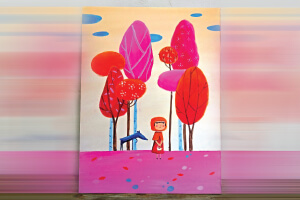 Alternatively, you can create the perfect bonding experience tomorrow night at Sip & Paint: Red Riding Hood. As the hundredth Sip & Paint event, this experience is being offered at a special price of RM100 per person. What is more, is that Sip & Paint does not require you to have any skill before walking in. As is stated earlier, tickets start at RM136 and cover a multitude of expenses including a glass of wine, unlimited drinks as well as art supplies. Find more information and buy tickets via the event’s Facebook page. The creative experience takes place at Art & Bonding, No 22-3, Jalan 25/70A, Desa Sri Hartamas, Kuala Lumpur. 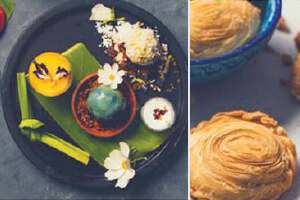 It is never too late to learn a new skill, and that is why you may want to head to HomeChefs Social Cooking Workshop, hosted by Christina’s Gourmet Catering, to learn the art of the Nyonya Cuisine. This weekend, Christina takes a break from her Sydney-based business to share her talents with Kuala Lumpur. The workshop takes place tomorrow from 11am to 3pm at Launch Of, Homepreneur Business 101 Demo Workshop, OUG Private Residence, Kuala Lumpur. Logon to the event’s Facebook page for more information on workshop and on Christina herself, as well as to buy tickets. Angelicioxs Studio is known to be a platform where people can both showcase and acquire talent. This weekend, it hosts a Shanghai and Ping Pei Mooncake Workshop, which you can either attend on your own for RM250, or with your child for RM280. 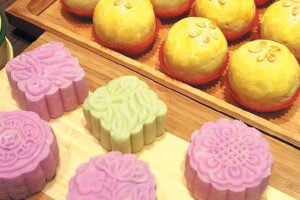 Whether it is a morning to wind down or to bond with your young one, this workshop is set to give you the timeless skill involved in creating rich and inviting mooncakes. It takes place on Sunday from 10am to 2pm at Angelicioxs Studio, 5-1, Jalan 5/109F, Plaza Danau 2, Taman Danau Desa, Kuala Lumpur. Visit the event’s Facebook page to register.